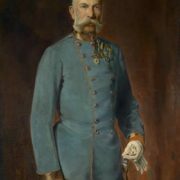 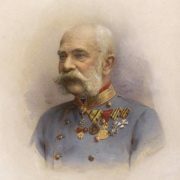 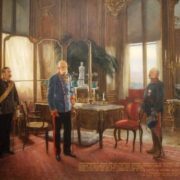 Franz Joseph I (August 18, 1830 – November 21, 1916) was an Emperor of the Austrian Empire and King of Bohemia from December 2, 1848, Apostolic king of Hungary from December 2, 1848 to April 14, 1849 (1st time) and 13 August 1849 (the 2nd time). 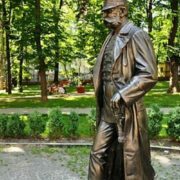 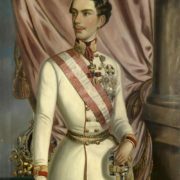 On March 15, 1867 he became the head of Austro-Hungarian monarchy. 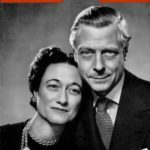 He ruled for 68 years. 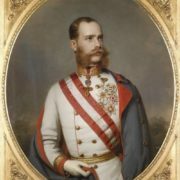 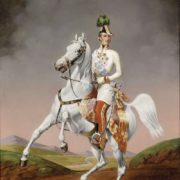 He was the eldest son of Archduke Franz Karl and Princess Sophie of Bavaria. 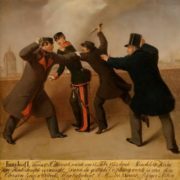 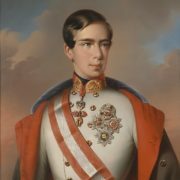 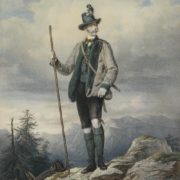 During the Austrian revolution of 1848 his uncle abdicated, and his father refused the inheritance rights in favor of his son and 18-year-old Franz Joseph I became the head of a multinational power of the Habsburgs. 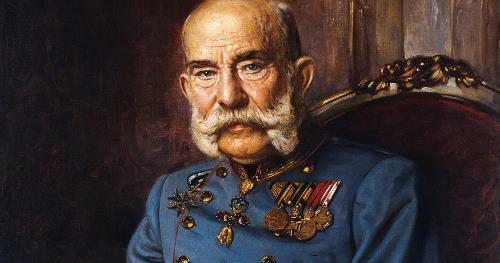 Franz Joseph I was well-read man and spoke Latin, English, French, Italian, Polish and Czech. 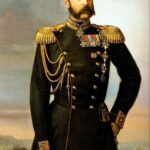 Emperor patronized geographical research, supported the development of the industry. 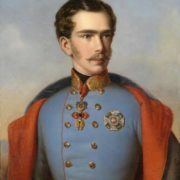 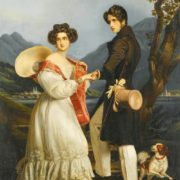 In 1854 Franz Joseph married Bavarian princess Elisabeth, known in the family circle as the Sisi. 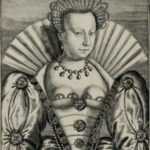 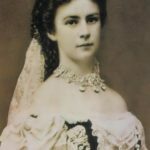 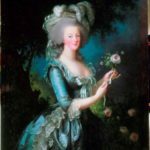 She didn’t get on well with Franz Joseph’s mother Archduchess Sophia of Bavaria. 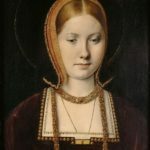 As a result she had nervous breakdown. 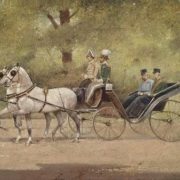 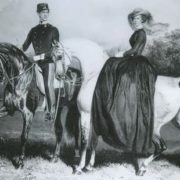 Since the 1860s the Empress spent her time traveling, rarely met with her husband. 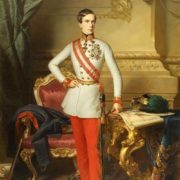 The first tragedy shocked the family of Franz Joseph in 1867, when the Mexican Republicans shot his brother Maximilian, emperor of Mexico. 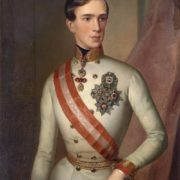 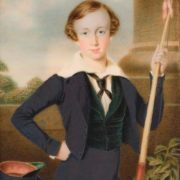 In 1872, his mother died, and six years later his father Franz Karl died. 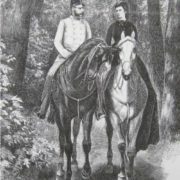 During the 14 years the emperor had a love affair with railway employee Anna Nahowski. 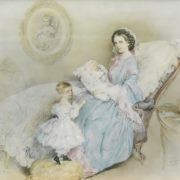 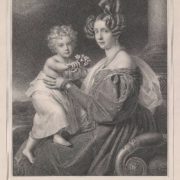 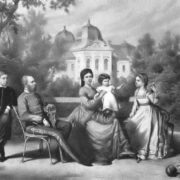 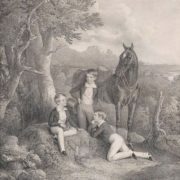 Presumably Franz Joseph was the father of Anna’s two children – Helene and Franz. 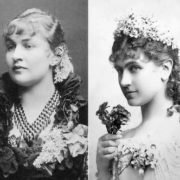 In 1885, actress Katharina Schratt became the mistress of the emperor. 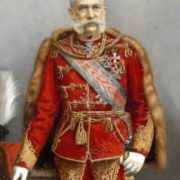 The only son and heir Crown Prince Rudolph was killed in 1889. 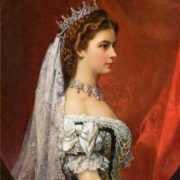 In 1898, Empress Elizabeth of Bavaria was killed in Geneva by Italian anarchist Luigi Lucheni. 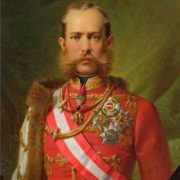 In 1866, Austria was defeated in the war with Prussia. 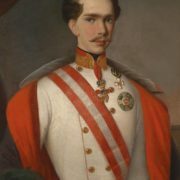 In 1867, the Austrian Empire was transformed into the Austro-Hungarian – the reason was the national movement in Hungary. 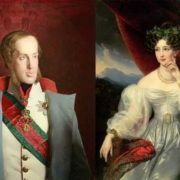 Austrian Empire, a great power of the middle of the XIX century, came to a complete collapse during the First World War. 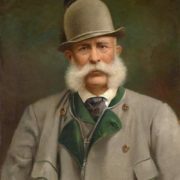 Franz Joseph died on November 21, 1916 at the age of 86, two years before the collapse of his empire. 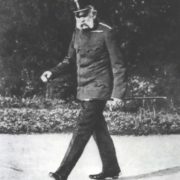 Franz Josef Land, discovered in 1873 by the Austro-Hungarian Polar Expedition, was named in honor of the emperor. 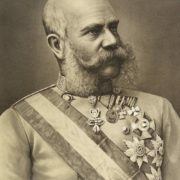 There is Franz Josef Glacier in New Zealand and Kaiser Franz Joseph Fjord in Greenland.